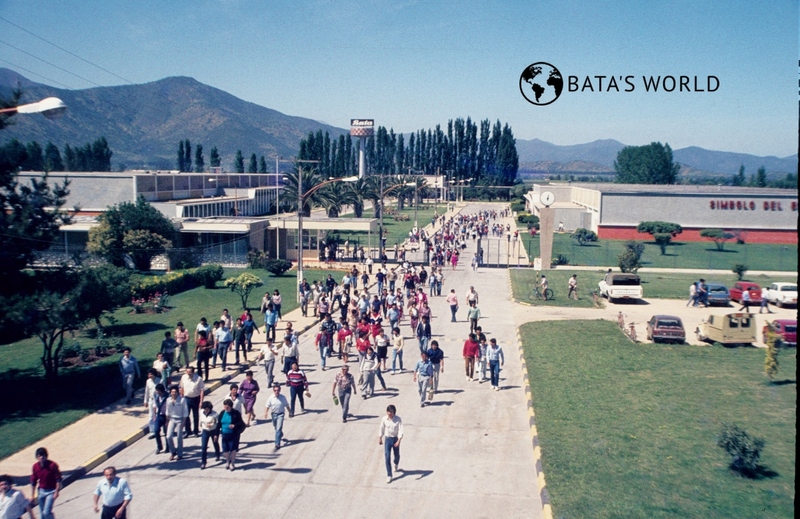 The export of Bata footwear to Chile started in 1929. In 1939 a sister company was established and a Bata shoe factory opened in Peñaflor; a wide retail store network developed in following years. A second shoe factory opened in Melipilla in the 1960s. In the year 1929 the sale of Bata shoes in Chile began. 2,000 pairs were sold the very same year. Several years later, after few years of fluctuation, a significant increase occurred: 300 pairs in 1931, 2,000 pairs in 1935, 21,000 pairs in 1936. On the 23rd March 1939 a sister company in Chile was established. During 1939 to 1940 the following sister companies were established in the country: Catecu Comp. Chilena S. A., Santiago; Catecu Companhia Manufactura de Caucho, Tajidos y Cuero, Penaflor. For the site of the new shoe factory the location of Peñaflor remoted 36 km from Santiago de Chile was chosen. The building of the factory took from June to September 1939, and the production started at the end of August and the beginning of September in 1939. In 1942 a sister company Catecu Manufactura Ltd., Santiago was registered. In 1945 the factory in Penaflor had 300 employees (two rubber workshops and one shoemaker workshop); in the post-war years the number of employees increased up to approximately 2,000. 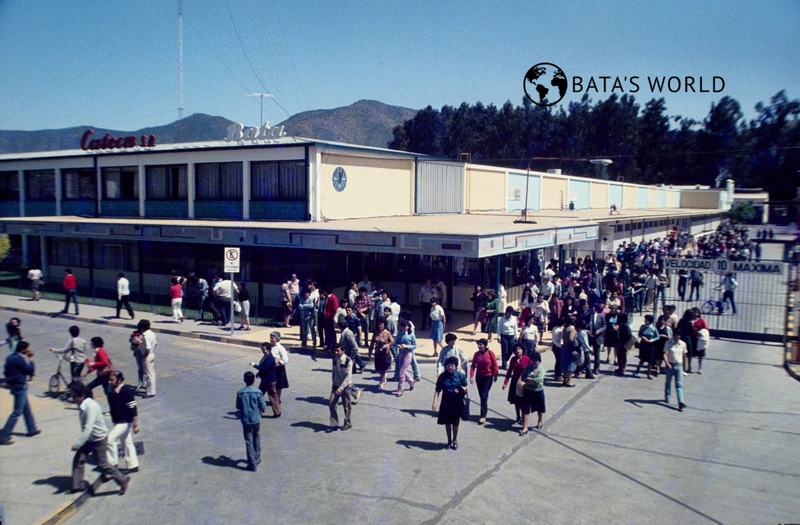 In the post-war period the Bata Company built a network of retail stores in Chile consisting of 165 stores. Around the year 1965 the Bata Company built another modern factory in the town of Melipilla, 70 km south of Santiago de Chile.